(Lanka e News 18.Aug.2018,11.45PM) Every measure will be taken to completely eradicate ragging of new entrants to the Universities in Sri Lanka , and through the enactment this will be implemented 100 % ,said minister of higher education Wijedasa Rajapakse while adding , the new entrants can exercise the rights vested in them by the constitution to give a thundering slap to the raggers ( males and females ) . Those who take those bold steps will be given protection the minister further observed. 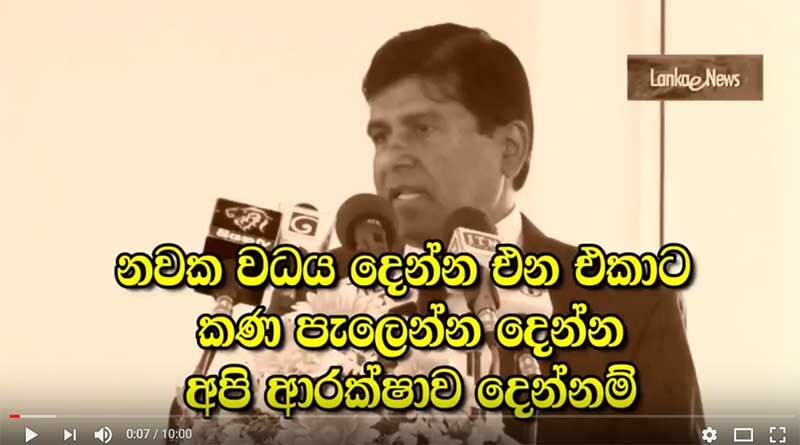 The minister made these comments when he attended a function at Matara –Kumburupitiya Ruhunu University on the 16 th to hand over the science faculty of the University to the students . Speaking further the minister made a number of useful revelations. The political leaders who organized the SAITM protests received many millions of rupees , super luxury vehicles etc., he pointed out . Stern action will be taken against those who engage in sabotage activities within the Universities irrespective of their high or low ranks , and the University administrative council will be provided protection in that regard , the minister emphatically stated.